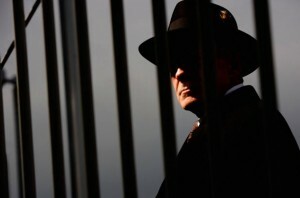 Dear Mr. Tradecraft, I’m a middle-aged operator with experience now on three continents. On each of them, from older (and wiser) operators, I’ve heard rumors and speculation about something called Code 16. But nobody can tell me what it is – is this a special tactic? Perhaps a famous black operation? 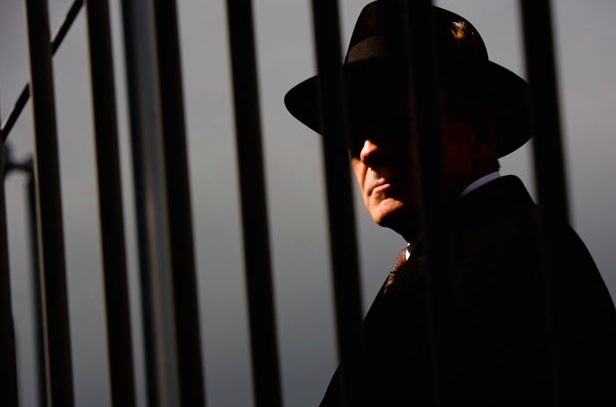 – Suspicious person yearning. Neither. It’s an black-ops organization, but the details are not fully known. Here’s what we know. Everyone’s heard of the Navy SEALS: take soldiers with world-class athletic ability, put them through insane training, and punish them in a “Hell Week” without sleep. Those that make it through become the world’s top warriors – or so they say. In 1996 an analyst in the psychology group of the Center for Naval Analysis studied all graduating SEALs and those who dropped out. She found an amazing correlation: the candidates who dropped out during Hell Week had an intelligence quota of 16 points higher than those who made it through or dropped out earlier. For non-experts, that’s the difference between average and genius. Thus was born the idea for Code 16. Think about it: find soldiers who’ll die to carry out orders and what do you have? Super soldiers willing to follow orders and die. And of course that’s good – sometimes you need that. But find soldiers who drop out just before the end and what do you have? The same super soldiers, but those who can think, who need to see the Big Picture; those who also value their own lives and well-being. As any operator knows, those are more valuable traits for our line of work. Presumably, a select group of these “last dropouts” is handpicked to join Code 16 – probably those with skills in multiple languages. Who runs Code 16? Nobody knows, but the current speculation is a joint U.S. / French group with a focus on Northern Africa. Where are they based? Nobody knows, but my guess is a big city – partly for urban training opportunities. But also the best way to hide a group of men with strange body language is probably in plain sight. How do you identify them? That’s probably the easy part. If you have access to a wire news search engine (like the newspapers use), search the obituaries for young men, early 30’s, Navy enlisted (or my guess: French Foreign Legion as well), dropped out of the program, and were killed – preferably cremated. Not all of them are Code 16 – but that’d be the place to start. 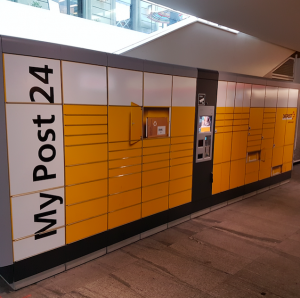 MyPost24: The Swiss innovation hasn’t stopped yet! For more than I year I’ve been a big fan and user of the Swiss postal system’s electronic portal for snail mail. Any snail mail you get is not delivered to you directly, but instead it is re-routed to a special post office where it is opened and scanned. You are notified about any new snail mail via email – and you can look at your mail, delete it, or chose to have it snail mailed to you or anyone else. Just when you think it can’t get any more innovative: MyPost24! This is an automated post office. It is a standalone collection of lockers – and with this system, you can receive packages or snail mail, or you can send packages or snail mail. I can imagine they have systems like this in other countries . . . but it is wonderful to see how the Swiss are among the first adopters of new and innovative technologies!